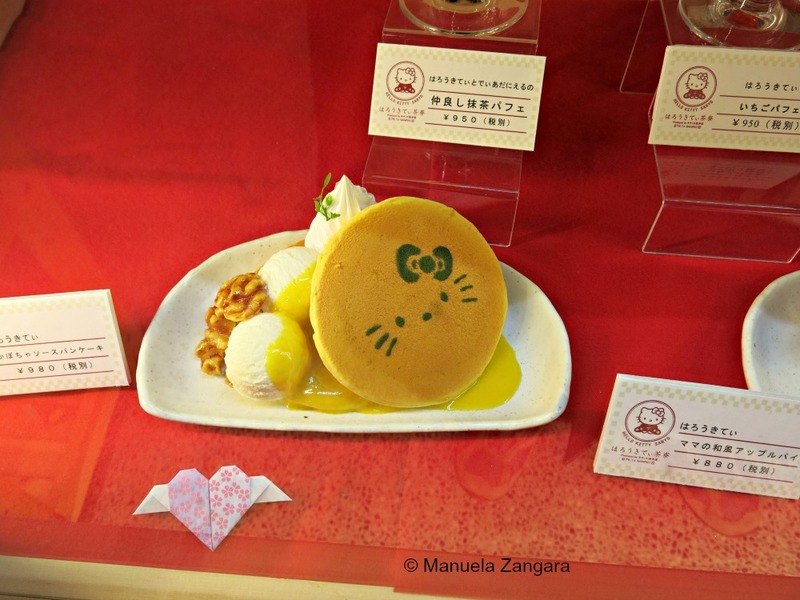 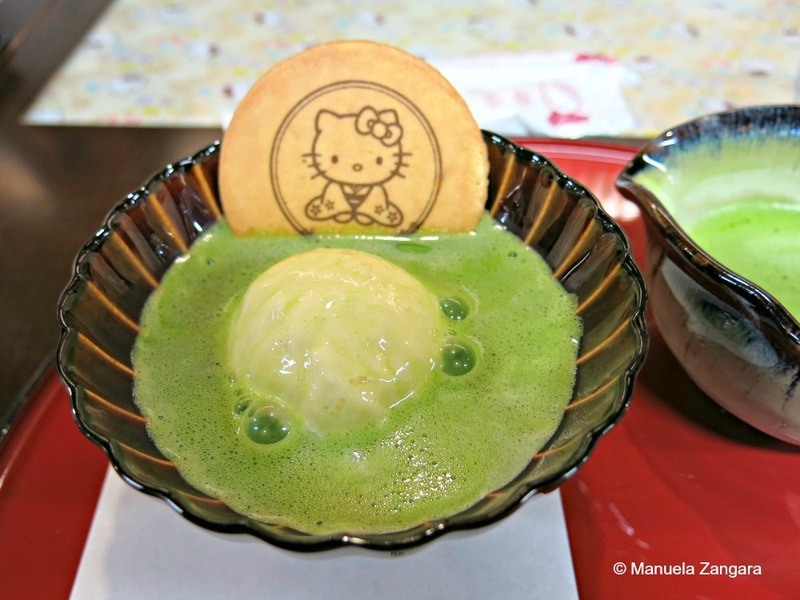 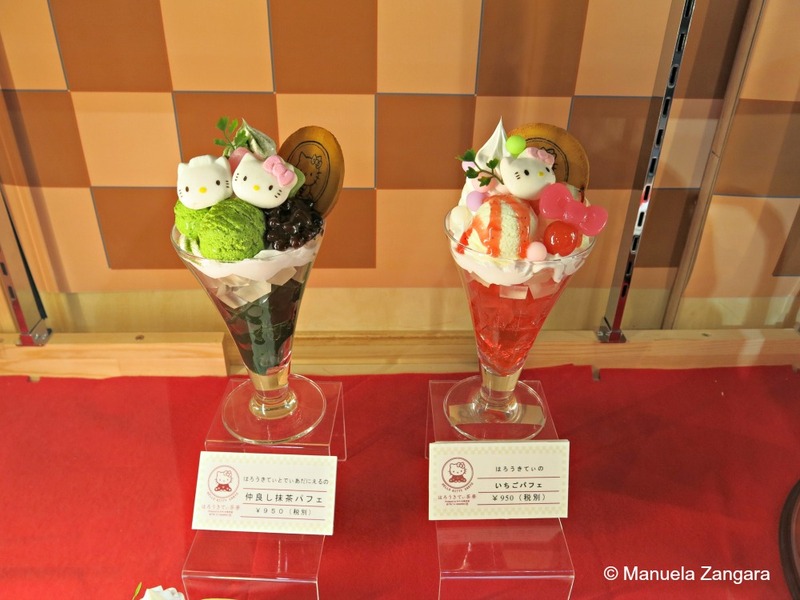 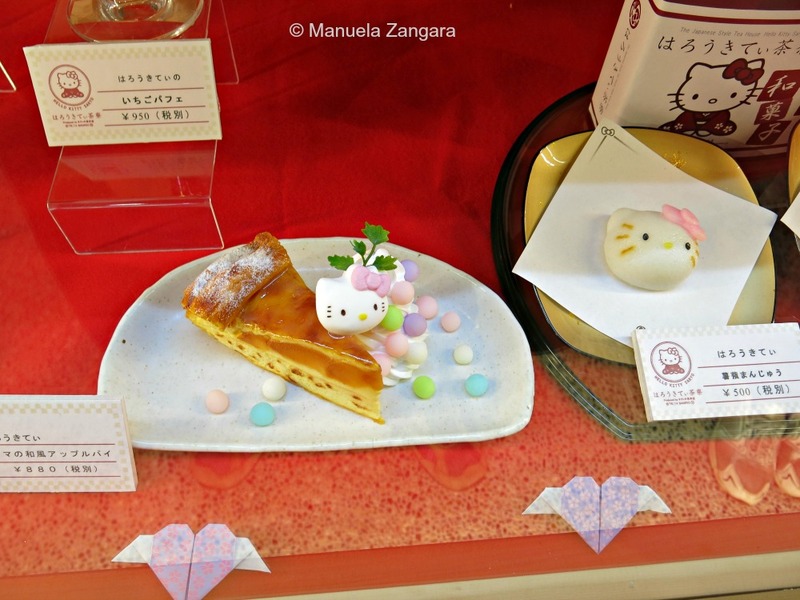 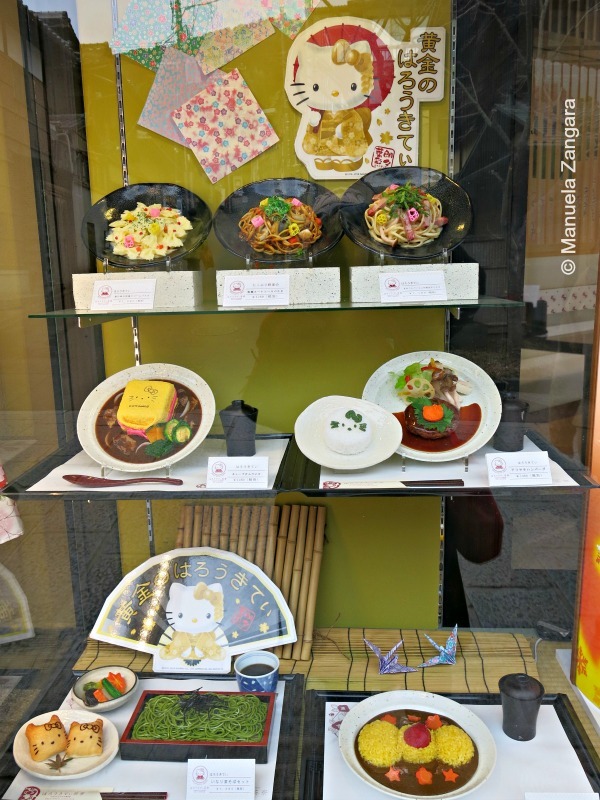 One of the places we wanted to see in Kyoto was the Hello Kitty Café. 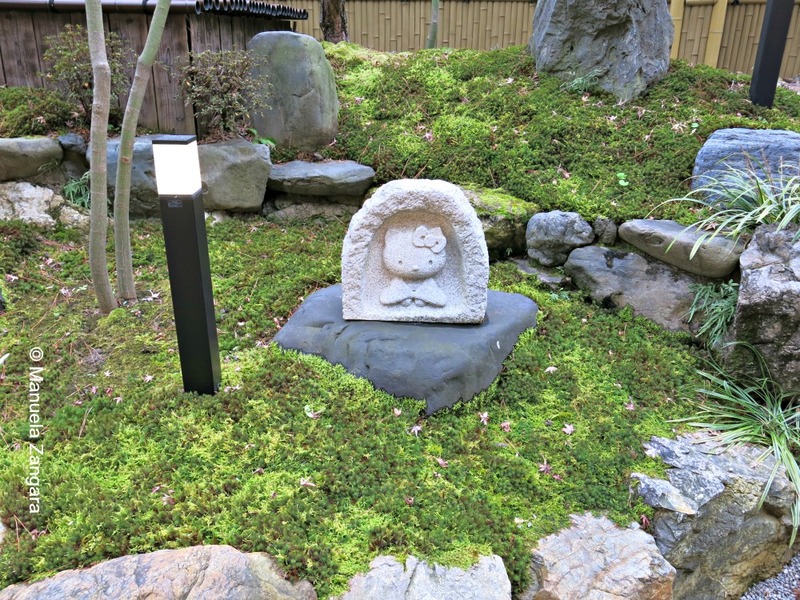 Lucky for us, it was very close to “our house”, in Ninenzaka. 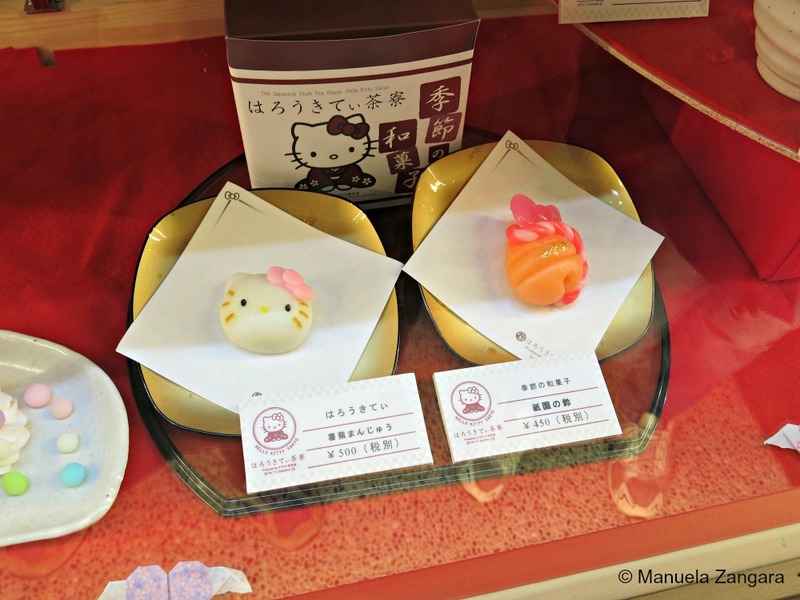 The Hello Kitty Saryo (Tea House) is like a lot of typical tea houses in Kyoto… except for the fact that everything somehow features Kitty-chan (as she’s known in Japanese). 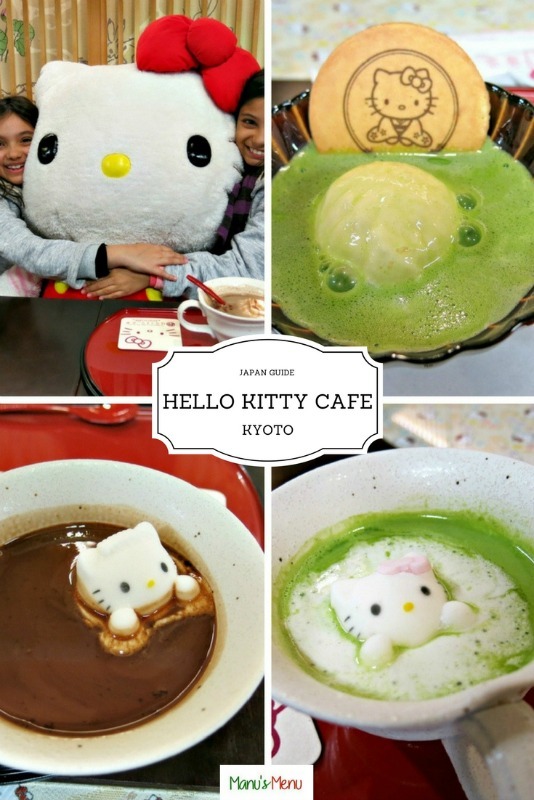 As both my girls and I are fans of Kitty-chan, we could not miss this place! 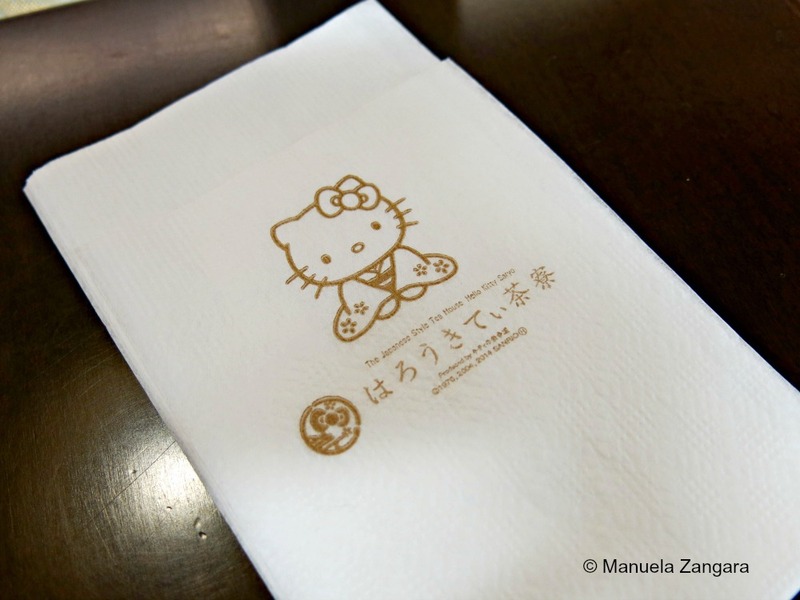 The café is a sophisticated Japanese tea salon with a hint of Hello Kitty in every detail. 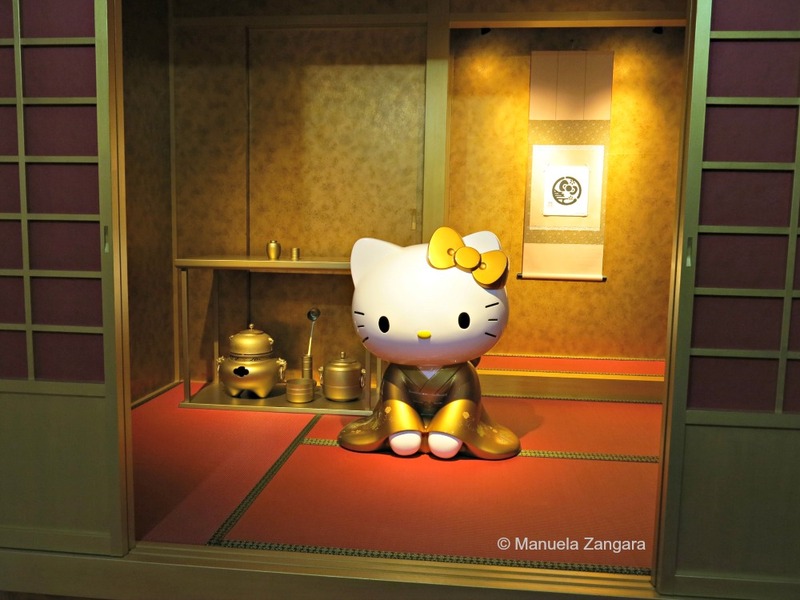 Here’s the entrance, right off Ninenzaka. 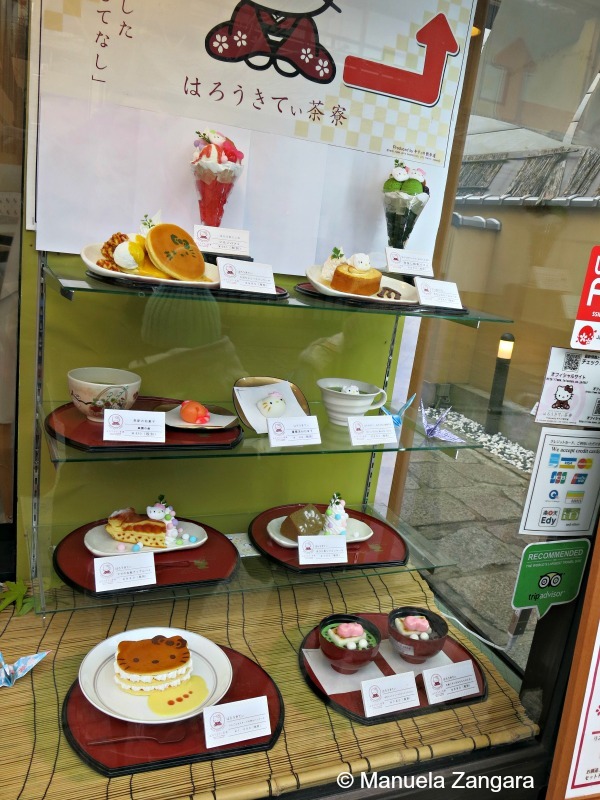 Before you enter, you can see all the items available on the menu made of plastic! 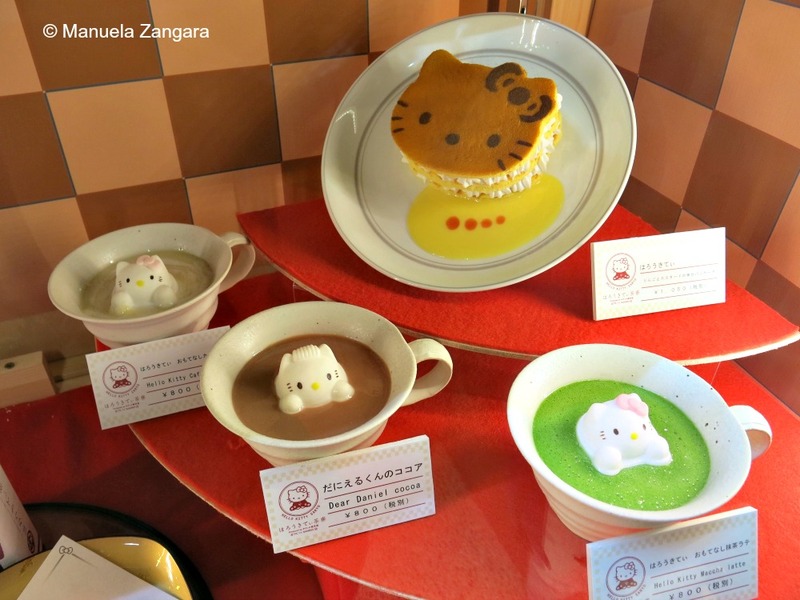 Inside the café, large plush Kitty-chan dolls are brought to sit at the various tables for a little while. 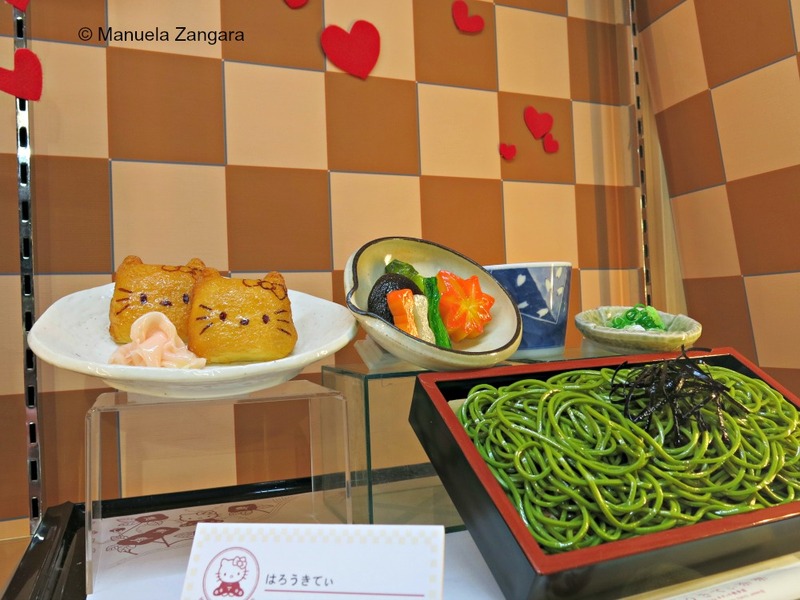 The menu includes Kyoto-style obanzai lunch plates, ochazuke (rice and pickles served with tea), Western-style pasta, and a range of tea and coffee items. 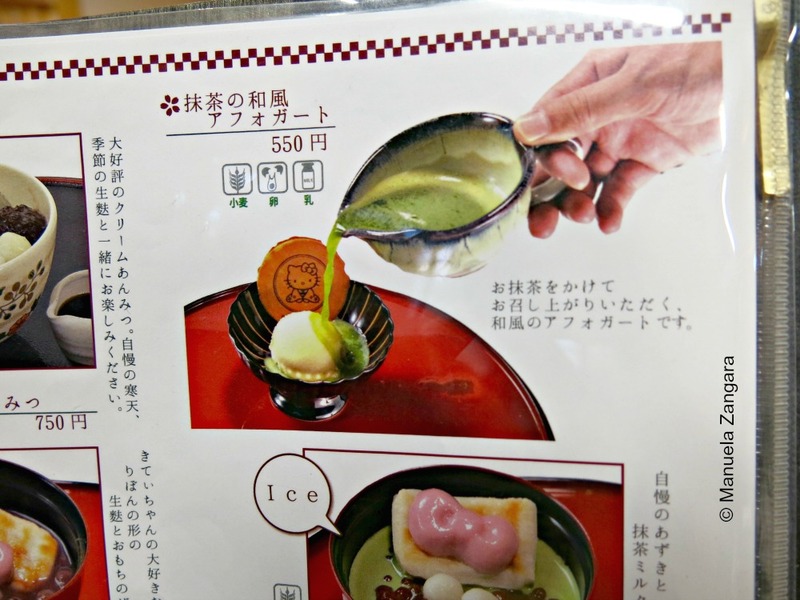 There’s an English menu available and there are handy icons to help you identify which dishes contain common allergens. 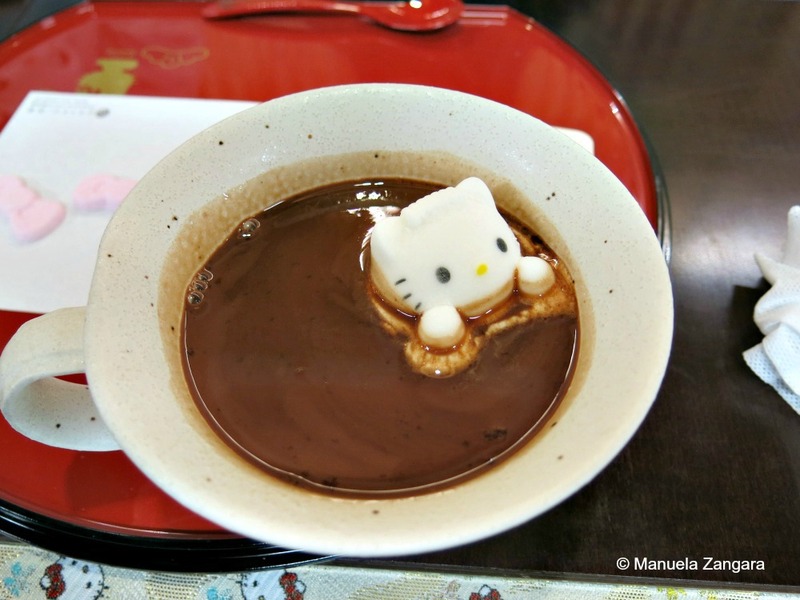 It was a very cold day and the girls both had a hot chocolate with a Kitty-chan marshmallow. 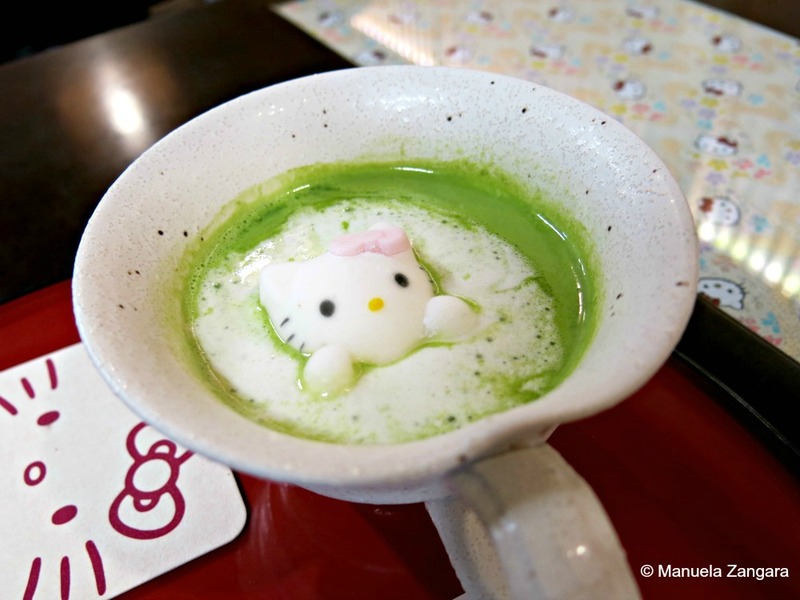 My husband had a matcha with a Kitty-chan marshmallow. 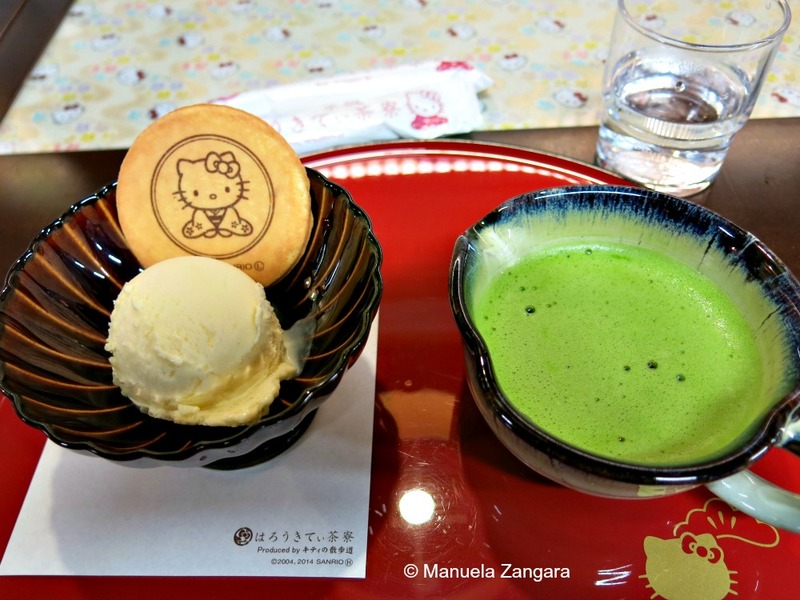 While I had a matcha affogato! 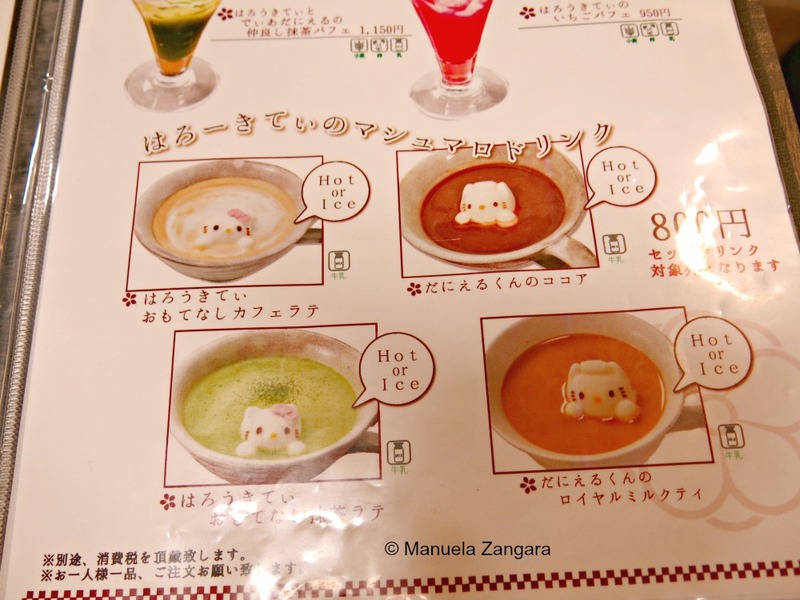 Everything was tasty, even though it was a bit pricey. 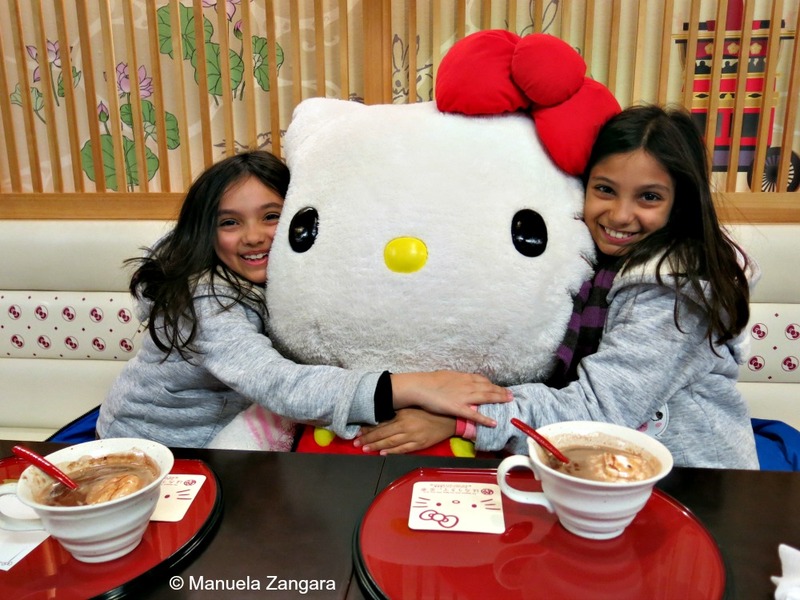 But the experience is worth it if you are a fan or are travelling with young kids. 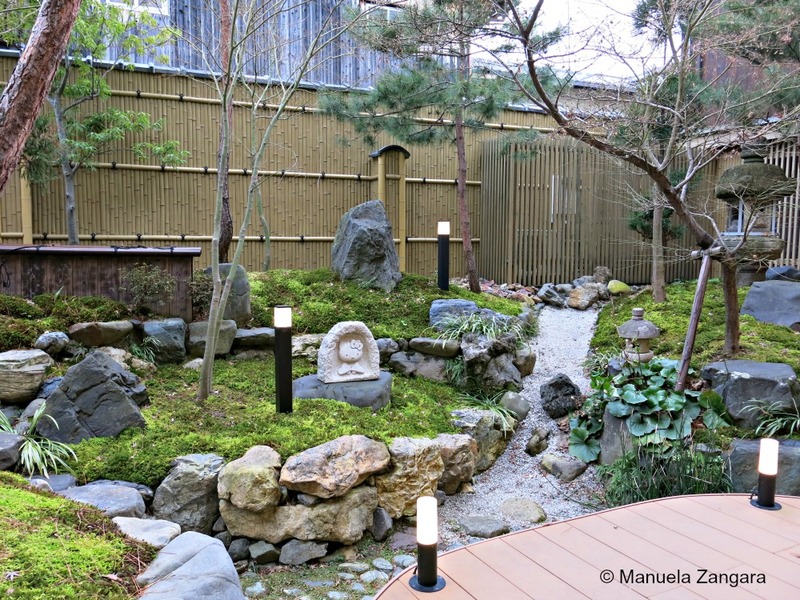 At the back, there is a pretty Japanese garden. 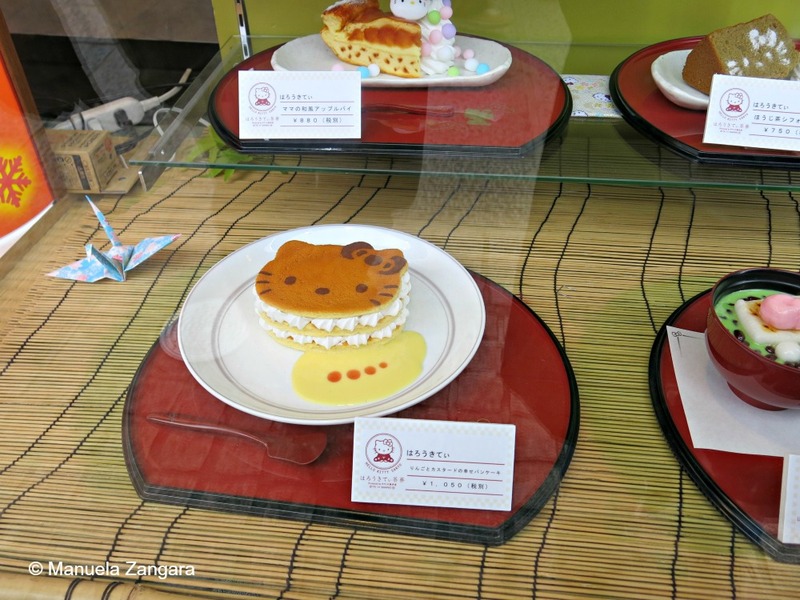 Once you’re done eating, you can head next door to the shop and stock up on souvenirs. 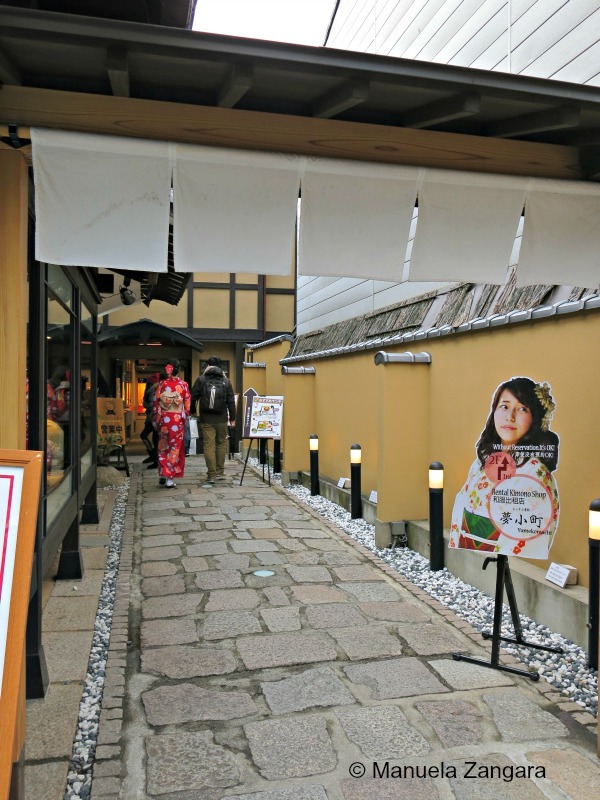 They have everything—wallets, coin purses, yukata (light cotton kimono), ceramics, jewellery… the list goes on and on.